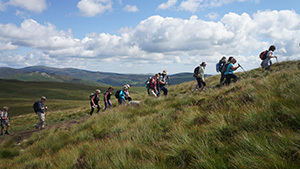 Following the success of the inaugural festival in 2014, CaminoWays.com, the Camino de Santiago specialists, will once again be hosting a fun-filled walking festival to celebrate St James Day this year. Walking enthusiasts and families are invited to join in on the fun in the Wicklow Mountains on Saturday 25th July. This special day is in honour of the patron saint of the city of Santiago de Compostela. Participants have two walking trails to choose from – one that’s suitable for all walkers and another that is perfect for more experienced trekkers looking for a challenge. CMRF Crumlin (Children’s Medical & Research Foundation at Our Lady’s Children’s Hospital in Crumlin) is the official charity partner for the festival and will be fundraising on the day. 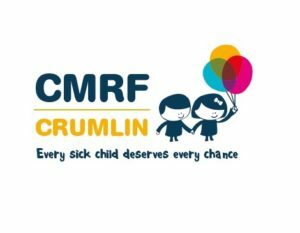 This wonderful fundraising body is dedicated towards improving the quality of life of sick children and their families. To add some Spanish flavour to the celebrations, a giant paella will be cooked by FoodFiesta, which walkers can enjoy after their adventures. There will also be incredible prize draws and competitions on the day from CaminoWays.com and partners, such as outdoor clothing specialist 53 Degrees North. Trekking a section of the Camino is a very popular choice for Irish holiday-makers, eager to have an unforgettable experience. There are limited tickets available for this amazing event so make sure you book early to avoid disappointment. Price: €20 for adults and €40 for families (including two adults and two children under 16). This includes parking, guided walks, food and entertainment.